Finnish architect Juha Leiviskä is one of Finland's most prestigious designers. His lighting is characterized by simple and subtle designs that shed a delicate light; this floor lamp is a beautiful example of this stylized design. 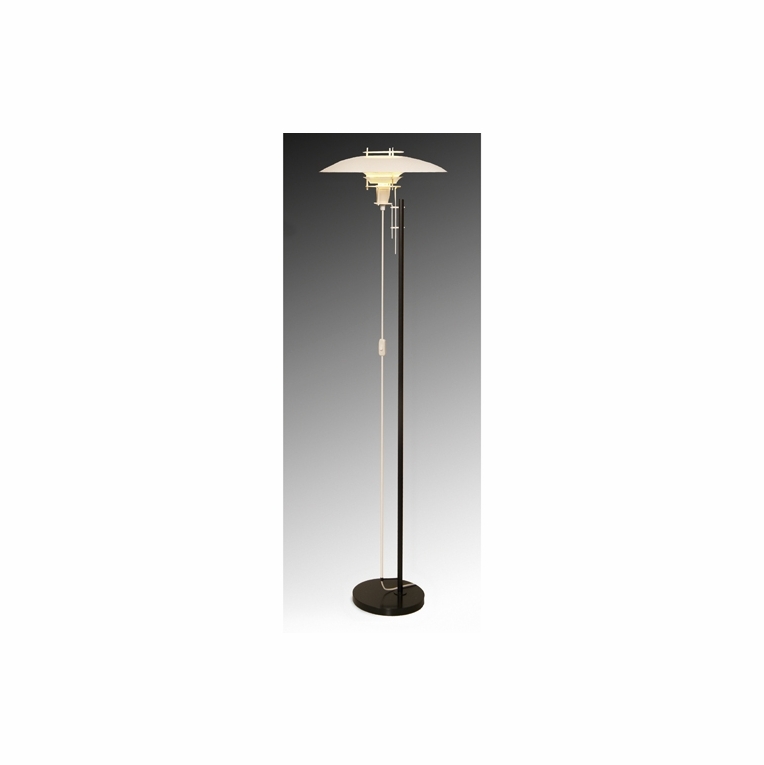 The white painted aluminum shade coordinates with the soft grey toned steel base and stem. Switch located on cord. Ships assembled.Please review our Shipping Information page before ordering. Payment: 50% will be charged at time of order, remainder will be charged at time of shipment.